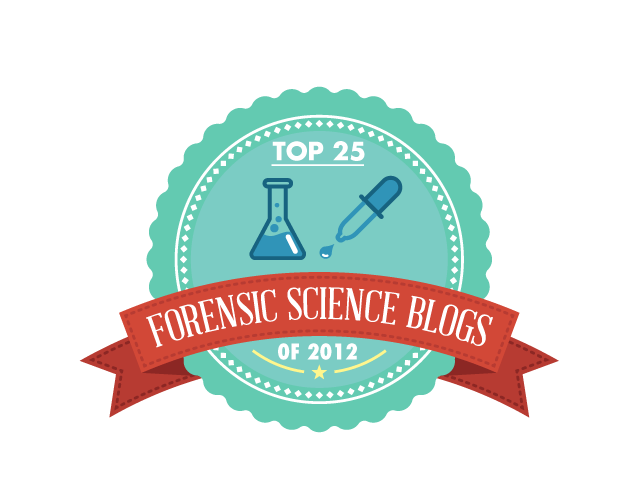 Based on content, aesthetics, frequency of postings and benefit to current and aspiring forensics specialists, the following list spotlights 25 of the best blogs about forensic science active in 2012. The blogs are grouped according to the discipline of forensic science they most frequently cover. 1. Didier Stevens: Based in Belgium, this blog maintained by a security researcher concentrates on computer forensics, IT security, programming and hardware hacking. Targeted primarily at technology professionals, the blog also tackles issues important to consumers such as PDF vulnerability and protection against malicious PDFs. Where to begin: Check out Searching With VirusTotal, in which the author reveals a proprietary Python program he wrote to fine-tune a technical search request. 2. Forensic Focus Blog: In-depth interviews with prominent professionals in the field of computer forensics are a focal point of this blog. It also includes valuable news updates, links to online seminars and information on job vacancies in the digital forensics industry. Where to begin: Check out Interview with Eddie Sheehy, CEO, Nuix for an informative discussion with a major player in the forensics business. He reviews the state of the industry and touches on some challenges it will face in the coming years. 3. Forensic Video and Image Analysis: On the cutting edge of the analysis of video and images, this blog hosts a discussion on image processing fundamentals and the relevant software and hardware produced by major developers. It also covers court cases, training in the field and product reviews. Where to begin: Check out The Perils of Using the Local Computer Shop for Computer Forensics, which issues a warning about self-proclaimed experts who are actually unqualified in forensics. 4. A Geek Raised by Wolves: An expert in computer forensics maintains this imaginatively titled blog. Heavy on technical analysis, it explores computer code and how it relates to consumers as well as professionals in the industry. Where to begin: Read Privacy Issues in Google Chrome are Opportunities for Forensic Examiners for a look at how records linked to the popular web browser could be used in an investigation. 5. Windows Incident Response: Written by an author of several highly respected books on computer forensics, this blog is dedicated to a discussion of incident response and the digital analysis of Windows systems. It contains news items designed to appeal to customers of digital analysis firms as well. Where to begin: Check out Malware Detection for a breakdown of some of the latest research on rooting out threats to computer operation. 6. Forensic Anna:thropology: A lecturer in forensic anthropology at Cranfield University in the United Kingdom shares her passion for the subject in this blog. The author makes an effort to includes posts that interest the general public as well as students and industry professionals. Where to begin: Check out Fun at the Royal Society, in which the writer recaps her experience at a prestigious British science conference. 7. In the News: Forensic Psychology, Criminology and Psychology-Law: Maintained by a forensic psychologist and professor at Alliant University in Northern California, this blog features updates on current events related to forensic psychology. The author relies on her expertise in criminal investigations and legal affairs in her commentary on the news. Where to begin: Check out Jury Expert: Timely Focus on False Confessions for a roundup of the latest expert opinions on the strange yet compelling topic of false confessions by suspects. 8. Mind Hacks: A companion to a popular book on the inner workings of the brain, this blog focuses on neuroscience and psychology tricks that help illuminate what makes people tick. The blog’s two authors use witty and candid language to appeal to a wide audience. Where to begin: Read BBC Future Column: Why is it So Hard to Give Good Directions? for a glimpse at why the basic task of giving directions is often more complicated than it appears. 9. The Charles Smith Blog: Originally developed as an investigation linked to a disgraced former doctor, this blog has expanded to encompass cases involving flawed pathology and miscarriages of justice. The author is a former investigative reporter with the Toronto Star. Where to begin: Check out Annie Dookhan: Part One: Crisis in the Crime Lab for an insightful take on examples of evidence contamination in crime labs. 10. Digital Pathology Blog: Aimed primarily at professional lab workers, this blog contains links to online seminars, news from the forensic pathology community and astute commentary. A surgical pathologist with a keen interest in digital pathology maintains the blog. Where to begin: Check out Understanding Clinical Laboratory Outreach Marketing for some tips on how clinical labs can improve the standing and reputation of their brand among medical and health professionals. 11. Crime Scene Training: Designed to provide instruction on the fundamentals of crime scene investigation, this blog delves into topics such as arson, blood at crime scenes, latent fingerprints and drug-related crimes. It encourages comments and feedback from readers. Where to begin: Check out Footprints at Crime Scenes – CSIs Need to Tread Carefully for a discussion of how investigators can use various techniques to analyze footwear marks left at crime scenes. 12. CrimProf Blog: Edited by a professor at the University of San Diego School of Law, this blog relies on a small team of expert contributing editors to offer sharp commentary on issues involving criminal law. Popular topics include civil rights, policy, homeland security, eyewitness identification and interrogation. Where to begin: Take a look at Luna & Cassell on Mandatory Minimums for a discourse on the controversial subject of mandatory minimum sentencing. 13. Expert Witness Blog: Operated by a group of practicing attorneys, this blog serves as a valuable resource for legal professionals interested in expert witnesses. Posts focus on testimony, research, trial strategy and expert witness marketing tactics. Where to begin: Check out Rosalie Hamilton On Expert Witness Advertising Part 1 for a dialogue on a delicate issue in the realm of expert testimony and a common misperception in the field. 14. Grits for Breakfast: Known for its impeccable research and piercing commentary, this blog makes a strong case for criminal justice reform. Based in Texas, the author examines issues that reverberate throughout the entire criminal justice system. Where to begin: Check out Law Enforcement Grants, DWI and the Fiscal Cliff for a review of how national budgetary concerns can affect federal grants to local law enforcement organizations. 15. The Truth About Forensic Science: Authored by an attorney and forensics expert, this blog is aimed at an audience of DUI lawyers and criminal defense attorneys. It offers a straightforward, compellingly written and educational examination of the technology and procedures that drive all types of forensic science. Where to begin: Read How Maintaining Scientific Justice is Like Establishing and Maintaining a Path in the Darkest Jungle, an inspiring post about how the search for truth is at the heart of all scientific pursuits. 16. The Wrongful Convictions Blog: The editor of this blog is affiliated with the Center for the Global Study of Wrongful Conviction and the Ohio Innocence Project. Its mission is to shed light on wrongful convictions in courts throughout the world. Where to begin: Check out Executed Serial Killer’s DNA May Solve Cold Cases for a look at using biological evidence to probe unsolved cases. 17. Antipolygraph.org News: This blog keeps readers up to date on polygraphs, voice stress analyzers and other devices designed to detect lies. It has a largely skeptical view toward lie detectors. Where to begin: Check out McClatchy Investigative Series on Polygraph Screening, which recaps a report that challenges some long-held assumptions on polygraphs. 18. Ask a Forensic Artist: Written by a full-time forensic artist who works for a major law enforcement agency, this blog provides inside information on the fascinating world of forensic art. It frequently features interviews with professional forensic artists. Where to begin: Check out Forensic Artist Q & A: Michelle Hinojosa for a conversation with an investigative specialist with a police unit. 19. Defrosting Cold Cases: This extremely well-written blog examines the mysteries surrounding historic and contemporary unsolved homicides. It is meticulously researched and presented with a literary flair. Where to begin: Take a look at A Case Colder than Cold: Gary Vincent Murphy, which explores the puzzling case of a man who was murdered shortly after winning a bitterly fought custody battle. 20. Forensic Accounting Services, LLC: Steve’s Blog: The author of this blog has written several books on financial forensics and fraud investigations. He has conducted investigations involving millions of dollars in fraud. His favorite topics include fraud prevention, risk assessment, embezzlement and probate concerns. Where to begin: Check out Cloud Computing, Cyber Crime, and Continued Increased Exposure, which sheds some light on the hot-button issue of identity theft. 21. The Forensic Group: Based in New Zealand, this blog tracks the latest forensic science news in that nation and elsewhere in the world. Topics include casework reviews, forensic palynology and the scientific method as it applies to solving crimes. Where to begin: Read On Vein Patterns and Dead Pythons – Outdoor Body Recovery Course for a review of an educational seminar on how to investigate bodies that are discovered outdoors. 22. Forensic Science for Nurses: The mission of this blog is to provide a forum for communication about forensic nursing science. The primary target audience consists of professionals in the medical and health community. Where to begin: Check out Crime Scene Processing for an important reminder that the use of proper equipment and supplies is a necessity when preserving evidence at a crime scene as part of an investigation. 23. Forensic Science News: Maintained by a veteran forensic scientist, this blog features penetrating commentary on forensic science news items. The author often draws on a wealth of experience he amassed in past cases as he discusses current events in the field. Where to begin: Take a look at Institutional Bias Example, which explores the unfortunate circumstances surrounding a crime lab suspected of tampering with evidence. 24. The Writer’s Forensics Blog: Operated by a physician who is also an award-winning author of novels as well as nonfiction books, this blog tackles forensic science from the perspective of writers. It is a superb resource for established authors and aspiring authors of thrillers and crime mysteries. Where to begin: Check out Be Careful What You Eat for a look at two strange but true stories about the ingestion of foreign substances that led to health problems and an untimely death. 25. Zeno’s Month: Authored by a forensic scientist at the Netherlands Forensic Institute, this blog chronicles the adventures of a working forensics specialist. It includes recaps of academic conferences, commentary on industry developments and informed takes on the use of technology in forensics. 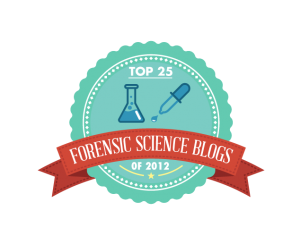 It sometimes features guest posts from other forensic scientists as well. Where to begin: Check out November 2012 for a review of a busy month that included court testimony on image comparison, an industry conference in Rome and plans for a proficiency test on camera identification.